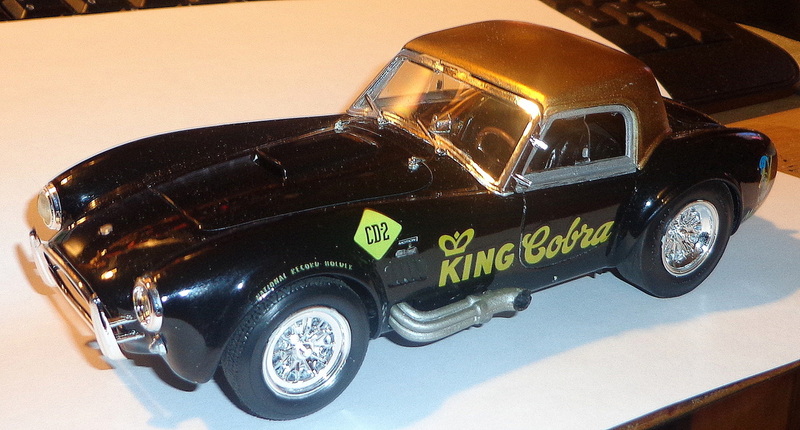 I have been a member of Masscar since about 2002 but have been building models since the late 1960's/Early 1970's. I started building aircraft and ships but with my dad being an auto mechanic, I transitioned to cars of all descriptions. I started with 1/32 CanAm cars and then to Funny cars and dragsters. I then went towards stock and 3 'n 1 kits to collect the spare parts for future builds. I suppose this is the path many of us followed as we got into model building in general. I try to build any and all type of vehicles so not to get into one catagory. Of all the kits I have now, the largest group are Mustangs from 1964 on up. I have built-ups on the shelf of Deusenbergs, Mercedes, Pickups, European sports cars, Funny cars, dragsters, and stock builds. I still have about 300-400 on the "to do" list.